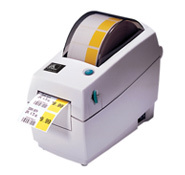 Zebra Technologies new line of barcode label printers, the Zebra LP 2824 Plus, is now available for sale on POSEquipmentStore.com. This new line of printers replaces the Zebra LP 2824 which will no longer be available for sale as of Marth 30th, 2010. The Zebra LP 2824 Plus has 8MB SDRAM and 4MB of Flash RAM, compared to the 512K SRAM and 256K Flash RAM that the Zebra LP 2824 had. The Zebra LP 2824 Plus retails for $575, but we currently have it for sale at $499, which is the same price as the Zebra LP 2824. Click Here to Purchase the Zebra LP 2824 Plus now. We are proud to announce the launch of our AmberPOS Online Store - your one stop shop for point of sale hardware and software.